Shred Ace provides secure, NAID AAA Certified on-site document shredding and hard drive shredding services to customers throughout the Baltimore area. We pride ourselves in providing a reliable and professional shredding service with that local touch – just ask us for a reference and see why our Baltimore customers love us. 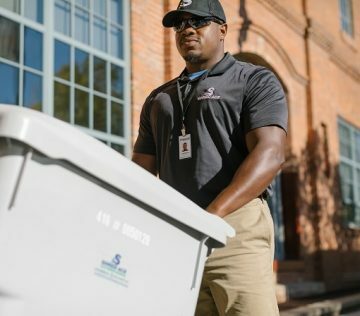 NAID AAA Certified security, straightforward pricing, and unmatched customer service – that’s what Shred Ace brings to customers in the Baltimore area. We provide the most secure, efficient, and courteous mobile on-site shredding services. Make sure that your business confidential information is securely destroyed. We scan your documents, upload them to an external hard drive, and provide you with the hard drive. If you are serious about the security of your information, then Shred Ace is the right choice for all of your shredding needs. 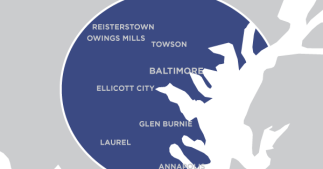 Shred Ace provides the most secure, reliable, and courteous on-site shredding services in Baltimore and all surrounding areas, including Owings Mills, Towson, Annapolis, Glen Burnie, Essex, Columbia and more. We are independently owned, local, and accountable for the level of service we provide. Our team members are friendly and professional – that’s the only way we know how to do business. At Shred Ace, we separate ourselves with a level of customer service that is unmatched in the marketplace, combined with the most competitive pricing you will find with a reputable shredding service. Our on-site document and hard drive shredding services are NAID AAA Certified, the highest security benchmark in our industry. The security of your information is our #1 priority. Free secure shredding containers, NAID AAA Certified on-site shredding services, best pricing, local presence, and friendly customer service – that’s Shred Ace. Shred Ace is proud to offer our GSA Contract GS-03F-071DA services to qualifying organizations in Baltimore & Maryland. Please don’t hesitate to contact the Baltimore shredding specialists at Shred Ace with any questions you might have!